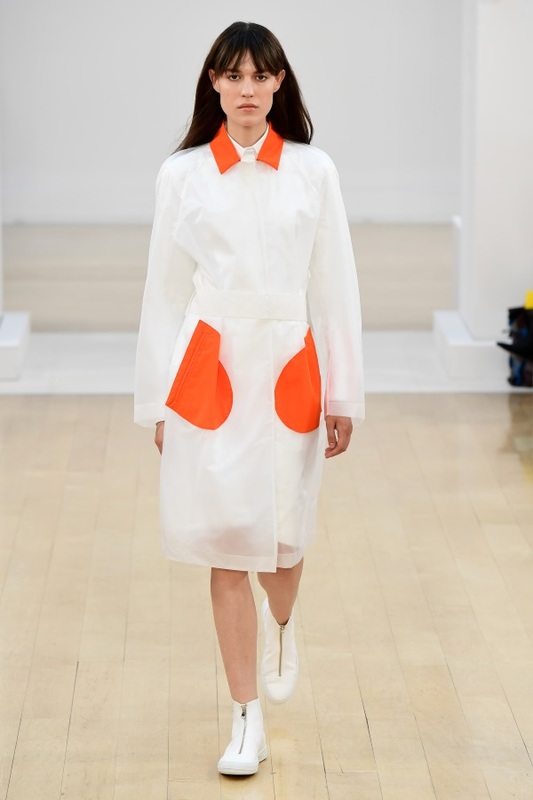 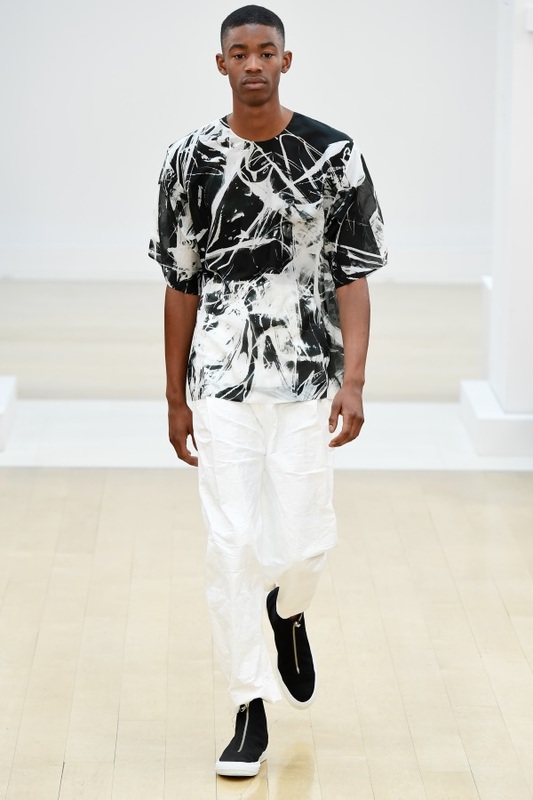 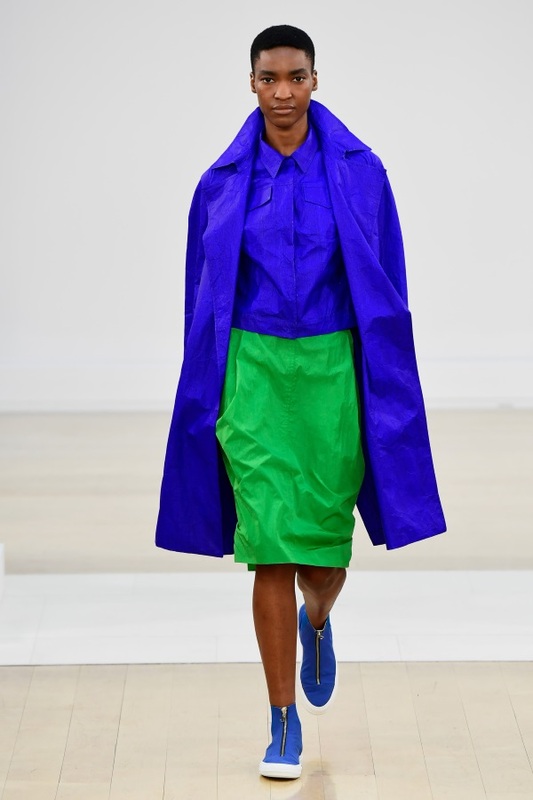 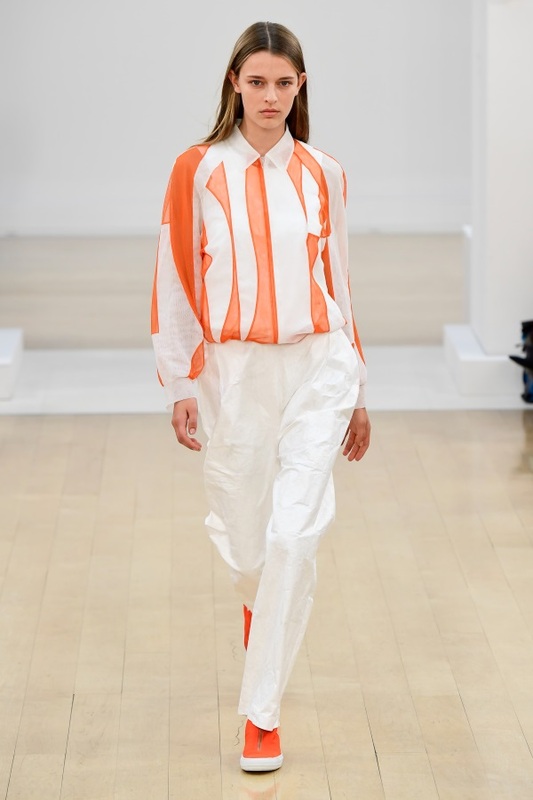 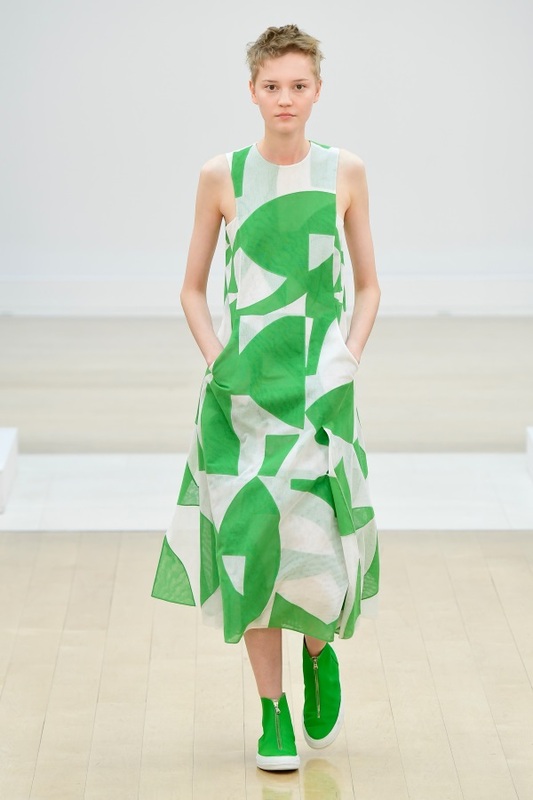 British designer Jasper Conran presented a beautiful, sophisticated SS19 collection at London Fashion Week in the Sackler Galleries at the top of the Royal Academy of Arts. 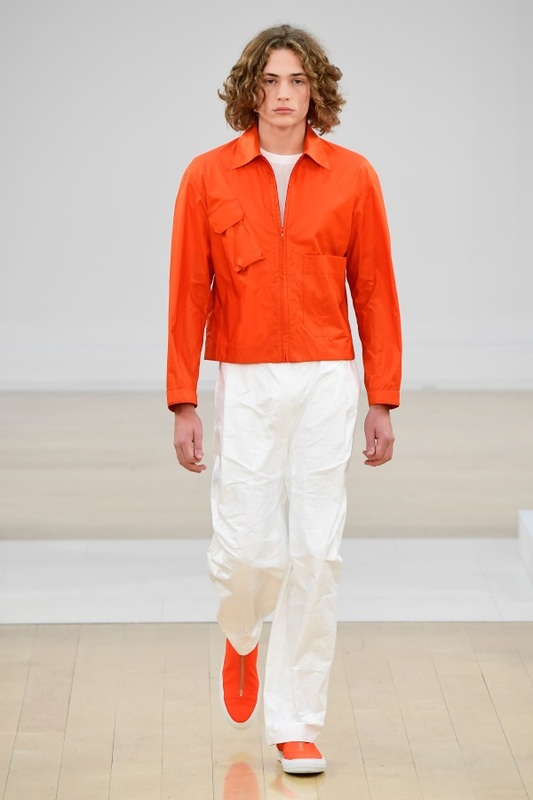 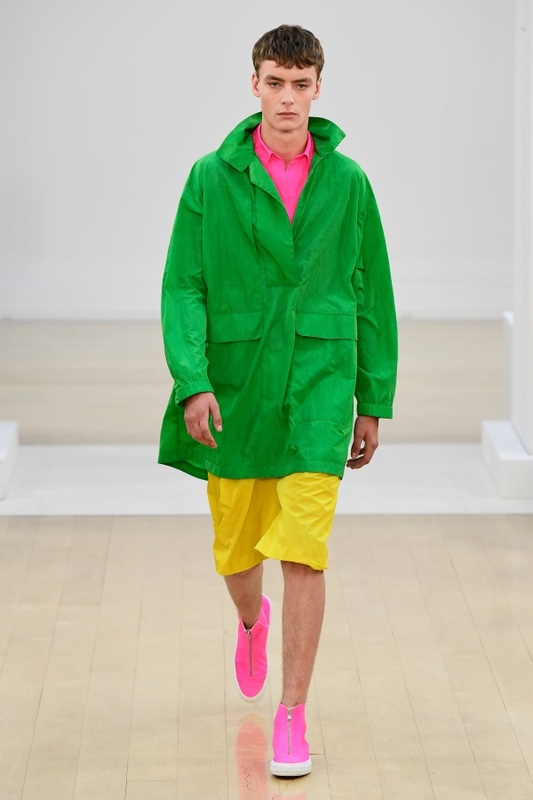 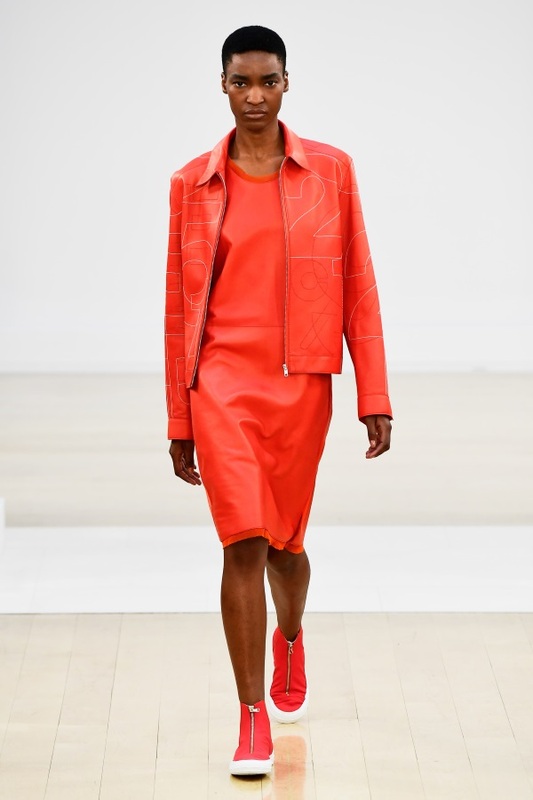 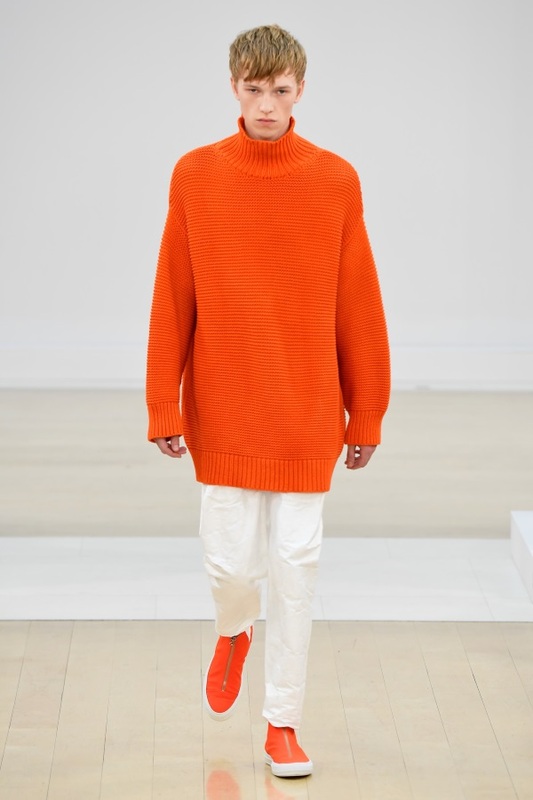  The collection, designed both for men and women, presented bright, vivid colours and quirky tailoring. 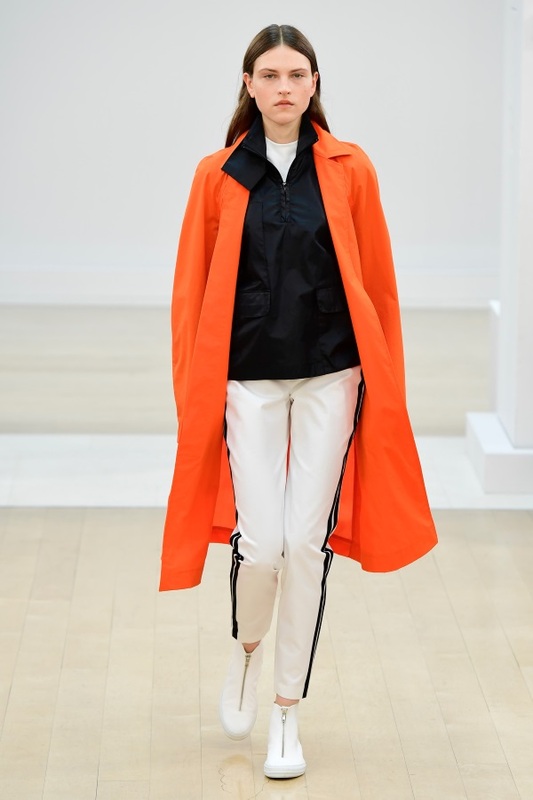 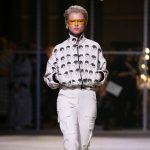 Silhouettes were fluid yet structured, with the designer’s signature clean lines, featuring lightweight fabrics in an explosion of clashing colours, from hot pink,shades of orange bright red to warm yellow or electric blue, combined with impeccable black or white. 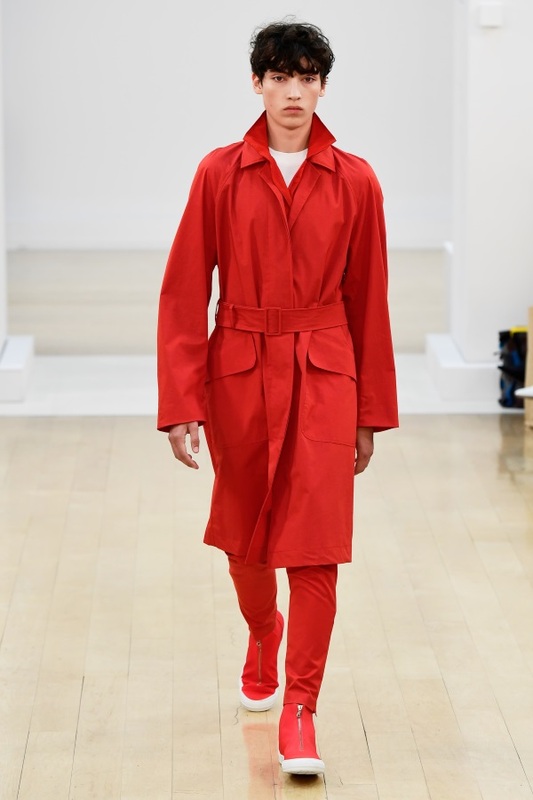 Standout pieces were red and white leather vest dress, neon pink printed paper mac or the designer’s bright red take on the classic trench.